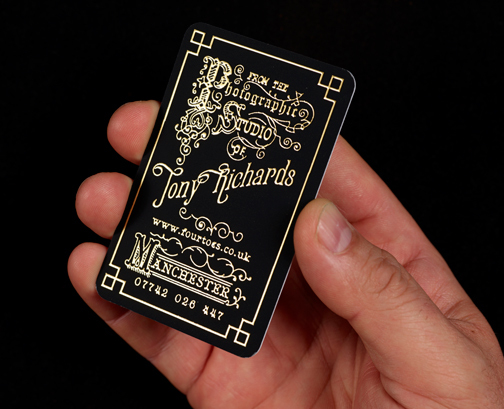 Moo cards offered to reprint my gold foil business cards because of the pooling issues. Rather than just reprint with the same problems Jonathan updated the art work slightly to try and avoid any repetition. I must say I’m impressed with the card quality, turn around time and the customer service. Granted there are cheaper options but I can’t fault the Moo card service. Thank you Julien at Moo Cards. 13 Oct This entry was written by Fourtoes, posted on October 13, 2017 at 2:55 PM, filed under Misc..